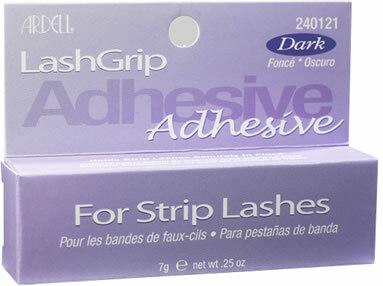 Ardell LashGrip Adhesive is specially formulated for use with Fashion Lashes, InvisiBands and Natural strip eyelashes. 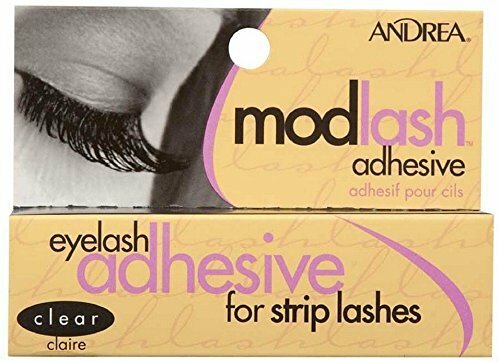 Lashgrip adhesive also known as Ardell Professional Clear Adhesive Lash Grip For Strip Lashes 7 g /.25 Oz and Ardell Professional Dark Adhesive Lash Grip For Strip Lashes 7 g /.25 Oz are a safe, dermatologist and Ophthalmologist approved false lash adhesive to use with your favorite false eyelashes. 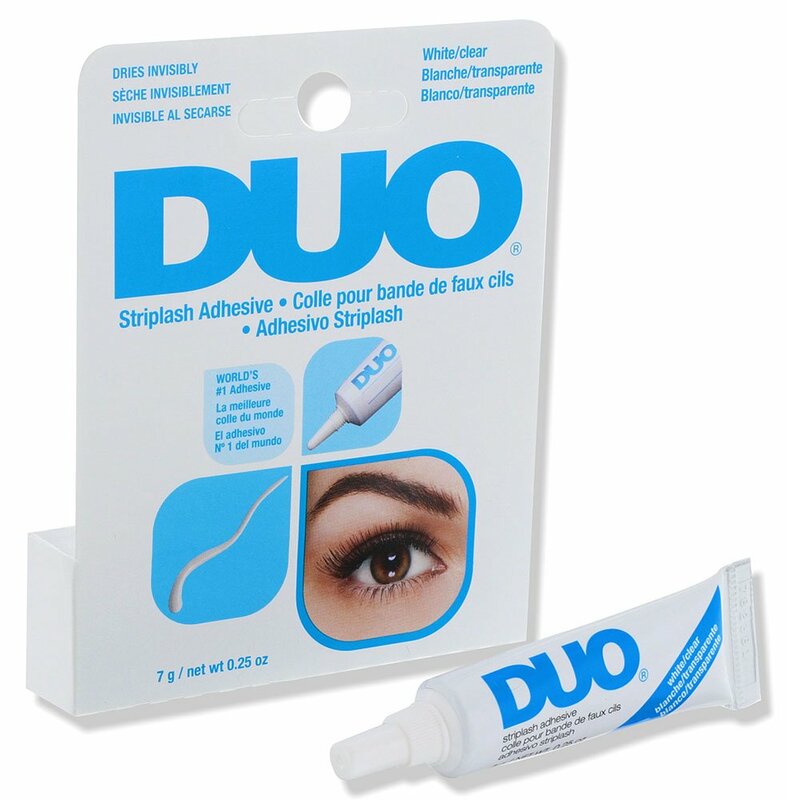 It offers comfortable and secure hold suitable for contact lens wearers and is easy to remove. New Blue/Purple or Black Packaging (also also as pro packaging) now available. If you have a preference for Blue/Purple or Black packaging, please let us know in the Message Box during checkout: For example, enter "Black Packaging for LashGrip Adhesive only" if you prefer Black Packaging. 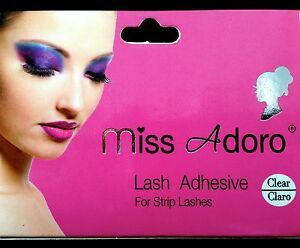 Apply a thin line of Lashgrip lash adhesive to the lash band of your favorite false lashes (sold separately). Sweep away any excess adhesive with your finger. Let dry for 10 to 15 seconds until tacky. Position the falsies lashes at the base of your natural lash line from the outer corner of your eye and hold in place to set. Apply mascara as needed (optional). Gently peel band off lid, starting at the outer corner. Clean band by peeling off lash adhesive with your fingers. Place lashes back on lash tray to maintain their shape for re-use. 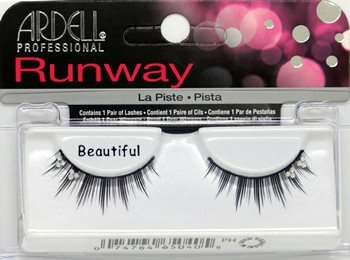 Pair With: Ardell False Eyelashes, Andrea Modlash, Gypsy Strip Lashes, Elise Faux Eyelashes. DO NOT use if you are allergic to rubber latex or sensitive to formalin solution. If contact occurs, wash eye immediately with lukewarm water. Product Care Tip: Make sure to keep your LashGrip adhesive AWAY from heat and direct sun light, and keep the cap on tight during storage. The glue dries too fast. but, i have to say it is great item. i would order it again. It does not hurt my eyes like ive seen before. This is the best product I found that has worked but I still am not crazy about it. Some individual lashes seem to hold on better than id like and are an absolute pain to remove once it is on. I can't seem to find an adhesive that I truly love. This one is the best I've found so far. 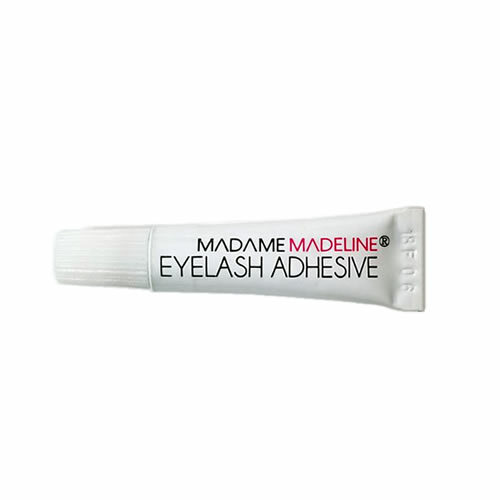 It was a little hard to get on the lashes and the smell was a little strong for me I have a sensitive nose though.. it does not hold too well... the lashes fell off not long after wearing them out. The other issue I had is the way it is stored... There is no way to get some out except by pouring it straight out of the bottle which makes it difficult to not use so much at a time. I had some trouble when I wanted to take mine off they were on there pretty good I left them until they came off . Mine held on strongg!! Very good adhesive!! Very long lasting. It was a bit thicker than i expected but worked just fine . 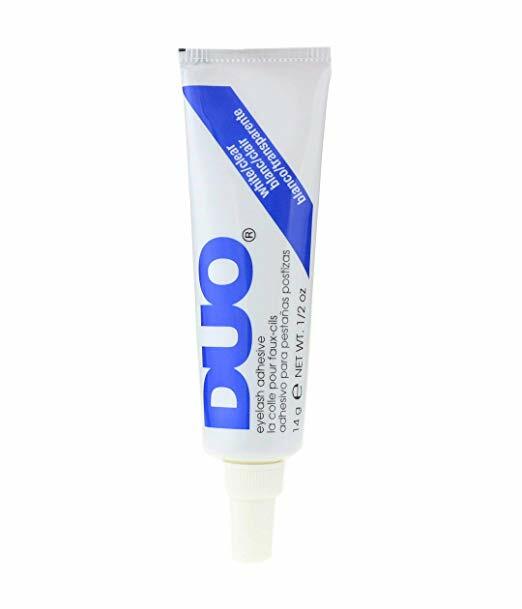 I bought my individual lashes along with this glue from this site last month and I couldn't be happier. The eyelash glue held my lashes in place! The glue does it's job. 12 hours later, this glue works great! I have been using this brand for months now and i cant complain .